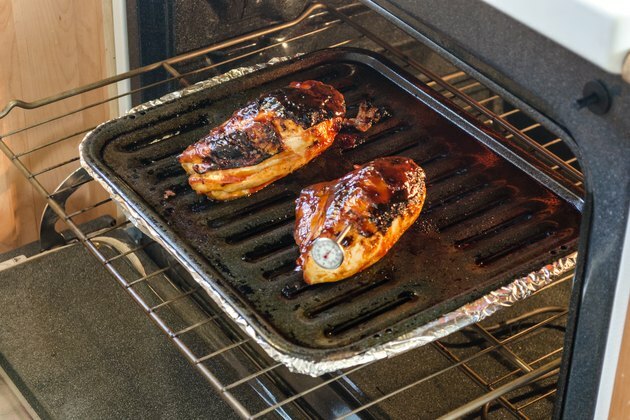 One of the easiest ways to cook chicken is broiling. Broiling is upside-down grilling, with the heat coming from the top rather than the bottom. 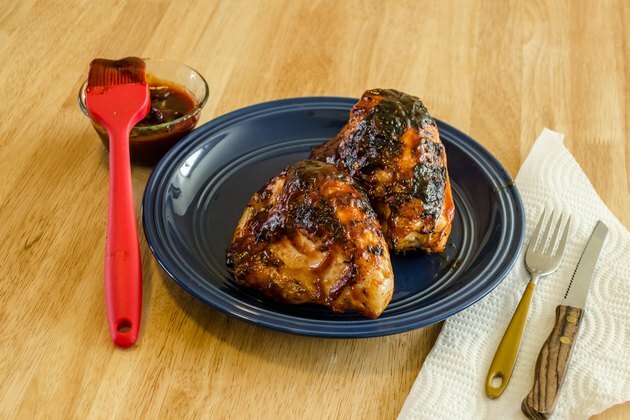 As with grilling, broiling cooks the chicken with intense direct heat, creating caramelization and charring while locking in juices for moist, tender, flavorful meat. 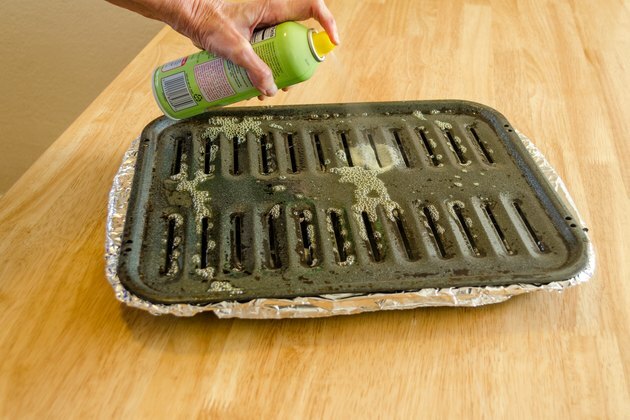 Spray a broiler pan with nonstick cooking spray, then line the bottom pan with aluminum foil to make cleanup easier. Position the oven rack at the top of the oven about 3 to 6 inches from the heating element so the chicken does not touch the element during cooking. The distance from the heat will depend on the size of the chicken pieces and the temperature of the broiler. 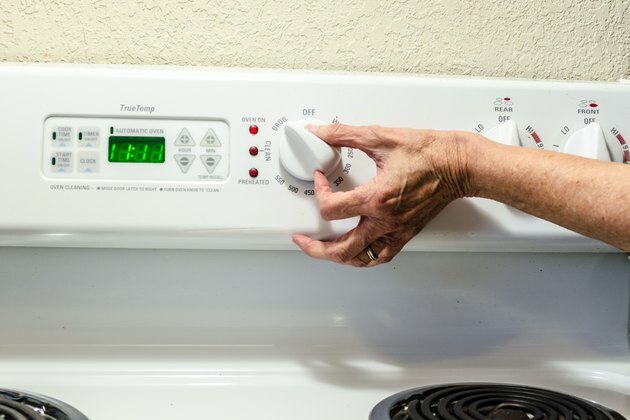 Turn the oven setting to broil, and preheat the broiler 10 to 15 minutes before cooking. 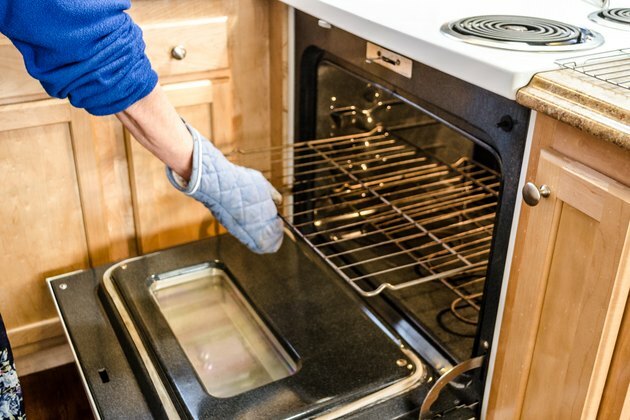 Keep the oven door propped open slightly during preheating as well as cooking to maintain a constant temperature and keep the food from overcooking. Remove the chicken from the wrapping or store packaging. Rinse under cool running water, and pat dry with paper toweling. Place the chicken on the broiler pan with enough room between the pieces so all the skin is exposed to the heat. Season the chicken with salt and pepper and other desired seasonings. 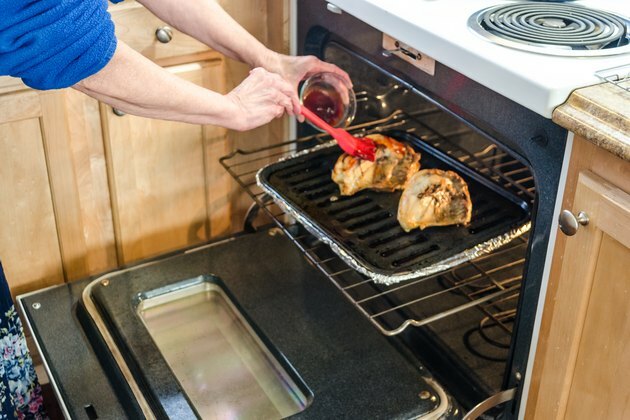 Place the broiler pan on the top rack of the oven. Keep an eye on the chicken during broiling so it doesn't burn or char, turning once during cooking. Use tongs to turn the chicken so you don't pierce the skin and let the juices escape. Add barbecue sauce, if desired, after the chicken has started to brown to keep the sauce from burning. Test the doneness of the chicken with a meat thermometer by inserting it in the meatiest part without touching the bone. Cooking will take 10 to 12 minutes for thin or small pieces and 25 to 30 minutes for larger pieces. The chicken is ready to serve when it reaches the USDA recommended safe internal temperature of 165 degrees Fahrenheit. Check your oven's user's manual for specific broiling instructions. Defrost frozen chicken before cooking to ensure even, thorough doneness. 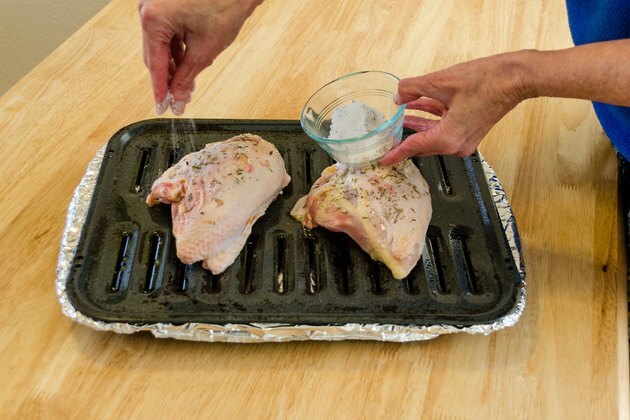 Remove the skin from the chicken before broiling for low-fat cooking. 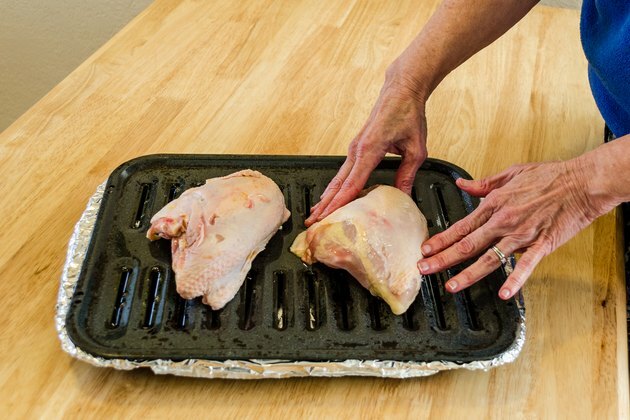 If the chicken cooks too fast, carefully lower the oven rack, wearing an oven mitt and taking care not to spill any grease that may be in the pan. As with grilling, flare ups can sometimes occur. If this happens, shut the oven door to cut off the oxygen supply to the flames. Then lower the oven rack if necessary and continue cooking.